Well, I’m not proud to report this as Penguins fan, but the Islanders have swept the Pittsburgh Penguins. I’ll leave it at that and let Patrick Hoffman take it from here as I collect my tears. Tampa Bay Lightning: Where is the Real Lightning at? The hockey world is…is…all mixed up right now! Tieing a record and on the verge of getting swept by the Columbus Blue Jackets is a storyline I think all Tampa fans feared. So where is the real Tampa Bay Lightning? Find out now. Well, Alain Vigneault is joining the flyers, is this good, bad, or amazing? Read now. Tampa Bay Lightning: Are they about to Strike Out? Tampa Bay is not looking to good in the Stanley Cup Playoffs, what does their future look like? Well, the New Jersey Devils got the first overall pick. Taylor Hall has been having a career on first overall picks. However, New Jersey needs to handle things correctly, and draft…who? Read now! Well the best day of the year is here! The start of the Stanley Cup Playoffs. Read more about the rivalries, bracket, teams, players and story lines in the latest edition of our blog! Hurricanes: Are you Jumping on the Bandwagon? Is the Hurricanes the cinderella story of the 2019 Stanley Cup Playoffs? Are you jumping on their bandwagon? Either way these playoffs are going to be awesome with the Canes in it. Read more. The AHL has always been a great breeding ground for amazing hockey players, but what about growing hockey fans? Read Patrick Hoffman’s take on the AHL and what it does to grow hockey fans. Where are the Florida Panthers heading and is it the right direction? Patrick HOFFman shares his foresight about the team in the latest edition of the HOFFensive Zone blog. Washington Capitals: Could this be the Year? Could this be the year for the Washington Capitals? Find out Patrick HOFFman’s thoughts in the latest edition of the HOFFensive Zone. New York Islanders: Should they Hire Lou Lamoriello? The HOFFensive Zone analyzes whether the New York Islanders could benefit from Lou Lamoriello’s services? Could he be taking his no facial hair policy to the New York Islanders’ organization? Read more. What a story it has been for the Vegas Golden Knights and it keeps continuing. Read more about the Golden Knights and how they are playing with house money in the Stanley Cup Playoffs. Washington Capitals: Is Something Wrong With You? Patrick Hoffman takes a peek at the Washington Capitals and analyzes what is wrong and will they be able to make adjustements in time to stay alive in the Stanley Cup Playoffs. Ken Hitchcock Retires: Goodbye Hitch! Ken Hitchcock is calling it a career. He's had an amazing career and Patrick Hoffman looks at some of his highlights and milestones. Read now. Patrick Hoffman continues his awesome interviews with the sport's media giant: Barstool Sports. 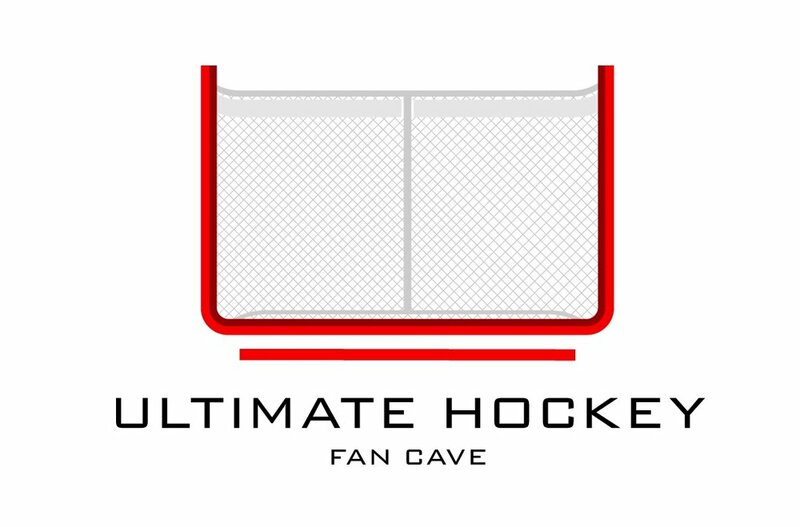 Today's interview is one of the Ultimate Hockey Fan Cave's favorites: Barstool Jordie.